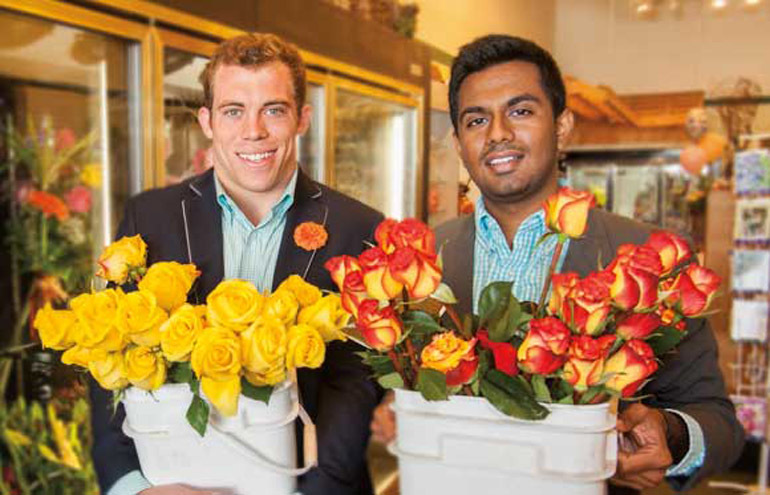 Inspired by his 2011 study-abroad experience living with an Ecuadorian rose farmer, Lyons, a University of Illinois at Urbana-Champaign business alumnus, contacted Kapadia to discuss the idea for a global online floral marketplace. Kapadia was intrigued but not surprised, noting that he and Lyons have always been big thinkers. When they were students at Waubonsie Valley High School in Aurora, Ill., they assembled a mock stock portfolio that included shares of Apple. Although the joint portfolio never came to fruition, Lyons and Kapadia individually purchased Apple shares along with other equities. As the market rebounded, they obtained a windfall that provided their initial investment for Global Petals. With Global Petals, Kapadia and Lyons envisioned a company driven by design and distinguished by transparency, technology, and top-notch customer service. Kapadia says that the nature of the floral market often makes obtaining products stressful and unpredictable. By eliminating key problem variables, the company ultimately helps to augment design. Global Petals works with the family-owned flower farm RG Flowers to provide florists with high-quality roses and filler plants. A former Kern Innovation and Entrepreneurship Academy Scholar, Kapadia received a grant from IIT in early 2012 that allowed Lyons and him to travel together to Ecuador to meet with farmers, trade organizations, and logistics companies. The trip helped the pair to devise a one-of-a-kind technological infrastructure to move flowers across the globe. “Global Petals is able to fulfill an order within four to five business days. We contact our specific premium-quality farm, which hand selects and cuts the flowers, then prepares them for shipping to the florists. By working directly with the grower and through our technology, we are able to deliver roses that last two to four weeks long, have heads the size of your palm, and promise reliable consistency,” Kapadia explains. 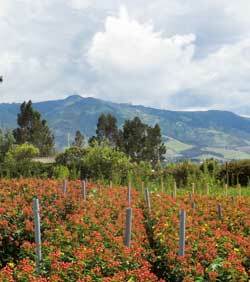 The hand-selected Ecuadorian farms that Global Petals partners with are located in year-round spring-like conditions because of their proximity to the equator, and thrive in the area’s high-altitude environment. Kapadia says that most of the flowers, including roses, carnations, hydrangeas, lilies, and a variety of filler plants, are grown in massive greenhouses that do not require air conditioning, and this helps to keep prices low. 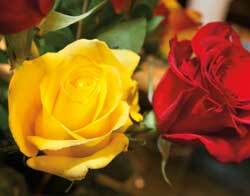 Karin Schneiders, owner of Celidan Creations in Naperville, Ill., recalls some of her favorite Global Petals roses. Kapadia and Lyons are looking to cultivate new directions for their business. Kapadia attended a manufacturing and design certification program this summer at Beijing Institute of Technology, where he learned how vases, ribbon, and other design items could be produced and offered through Global Petals in the future. In September, Kapadia and Lyons attended an exporting fair at Chicago’s Navy Pier to explore opportunities for building relationships with flower farmers in Colombia. Last year, Kapadia and Lyons were invited to discuss Global Petals with Santiago León, Ecuador’s former minister of coordination, production, employment, and competitiveness.